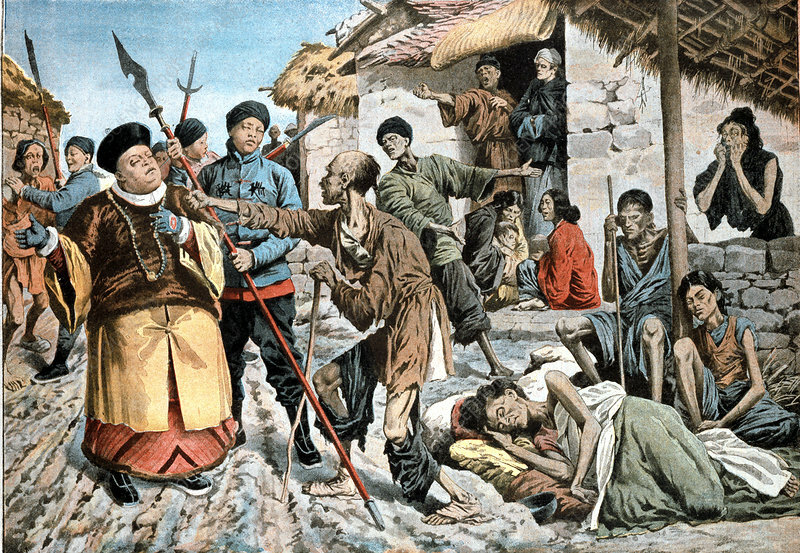 Cholera amongst victims of famine in China. Government officials mobbed by starving people. Hands of woman on mattress at right are in typical cholera attitude. From Le Petit Journal, Paris, March 1907.